997) Ever wonder how blind people tell when they’ve wiped enough after going to the bathroom? Well, wonder no more. To begin with, the vast majority of the world’s population uses water to clean, rather than starting with toilet paper. With something like a bidet with reasonable pressure, you just spray for a bit and use toilet paper to dry- it’s clean every time on the first wipe. 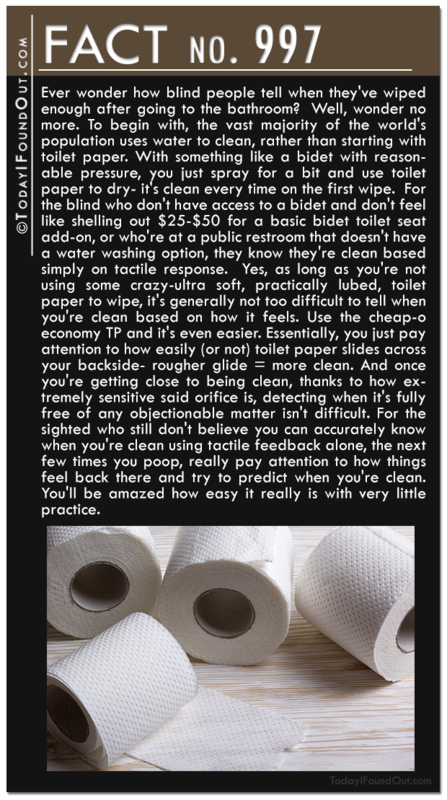 For the blind who don’t have access to a bidet and don’t feel like shelling out $25-$50 for a basic bidet toilet seat add-on, or who’re at a public restroom that doesn’t have a water washing option, they know they’re clean based simply on tactile response. Yes, as long as you’re not using some crazy-ultra soft, practically lubed, toilet paper to wipe, it’s generally not too difficult to tell when you’re clean based on how it feels. Use the cheap-o economy TP and it’s even easier. Essentially, you just pay attention to how easily (or not) toilet paper slides across your backside- rougher glide = more clean. And once you’re getting close to being clean, thanks to how extremely sensitive said orifice is, detecting when it’s fully free of any objectionable matter isn’t difficult. For the sighted who still don’t believe you can accurately know when you’re clean using tactile feedback alone, the next few times you poop, really pay attention to how things feel back there and try to predict when you’re clean. You’ll be amazed how easy it really is with very little practice. 998) If you love the cult classic Monty Python and the Holy Grail, you partially have band members from Pink Floyd, Led Zeppelin, and Genesis, as well as Elton John, to thank for it, according to director Terry Gilliam. He stated, “There was no studio interference because there was no studio; none of them would give us any money. This was at the time income tax was running as high as 90%, so we turned to rock stars for finance…. They all had money, they knew our work and we seemed a good tax write-off. Except, of course we weren’t. It was like The Producers.” In total, the rock stars contributed approximately £80,000 (about £600,000 today) to the movie, or approximately 40% of its budget, with six other private investors footing the rest of the bill. The extreme low budget for the film ultimately resulted in some of its best gags. For instance, they originally planned to use actual horses in the film, but couldn’t afford it, so instead came up with the idea of having the actors act like they were riding horses while their assistants used coconuts to make clopping noises. In the end, the film, which wasn’t expected to do well, grossed £3 million (about £19 million today) at the box office off a budget of about £200,000, and has continued to earn well since in various home media incarnations, TV spots, and streaming online. 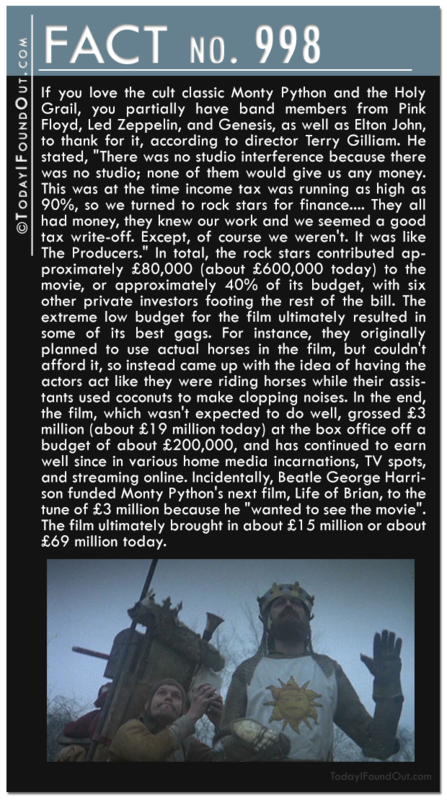 Incidentally, Beatle George Harrison funded Monty Python’s next film, Life of Brian, to the tune of £3 million because he “wanted to see the movie”. The film ultimately brought in about £15 million or about £69 million today. 999) The Haskell Free Library and Opera House has a curious line painted through the building. What does this line signify? One side of the line lies in Quebec, Canada, while the other is in the state of Vermont in the United States. Because of this, the building has two main entrances on either side of the border. The building also has two different addresses and telephone area codes. Further, because of the layout of the building, it’s jokingly referred to as “the only library in the U.S. with no books and the only opera house in the U.S. with no stage” (the library and the stage are on the Canadian side, while most of the audience of the opera sits in the U.S.). If you’re wondering, people inside can freely cross the line marking the border, but if they then exit the building, they are required to report to Customs, but otherwise are free to traverse one side of the building or the other without such notification. 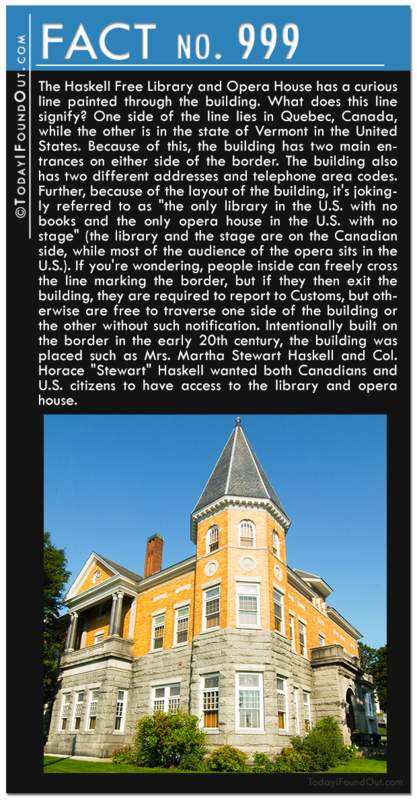 Intentionally built on the border in the early 20th century, the building was placed such as Mrs. Martha Stewart Haskell and Col. Horace “Stewart” Haskell wanted both Canadians and U.S. citizens to have access to the library and opera house. 1000) Despite toilet paper having been around since at least the 6th century AD (invented in China), it wouldn’t be until the late 19th century when toilet paper would be first introduced in America and England and it wasn’t until the 1900s, around the same time the indoor toilet became common, that toilet paper would catch on with the masses. So what did people use for wiping before TP? This depended greatly on region, personal preference, and wealth. Rich people often used hemp, lace, or wool. 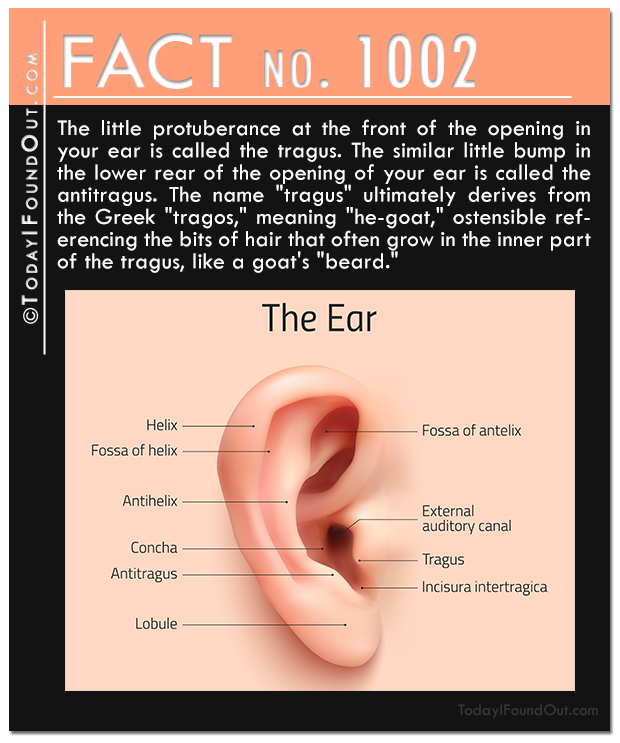 The 16th century French writer Francois Rabelais, in his work Gargantua and Pantagruel, recommended using “the neck of a goose, that is well downed”. Poor people would poop in rivers and clean off with water, rags, wood shavings (ouch! ), leaves, hay, rocks, sand, moss, sea weed, apple husks, seashells, ferns, and pretty much whatever else was at hand and cheap/free. People living in frigid regions tended to go with clumps of snow to wipe with. Going back a ways in history, we know the Ancient Roman’s favorite wiping item, including in public restrooms, was a sponge on a stick that would sit in salt water and be placed back in the salt water when done… waiting for the next person… Back to America, one extremely popular wiping item for a time was corn cobs and, later, Sears and Roebucks, Farmer’s Almanac, and other catalogs. 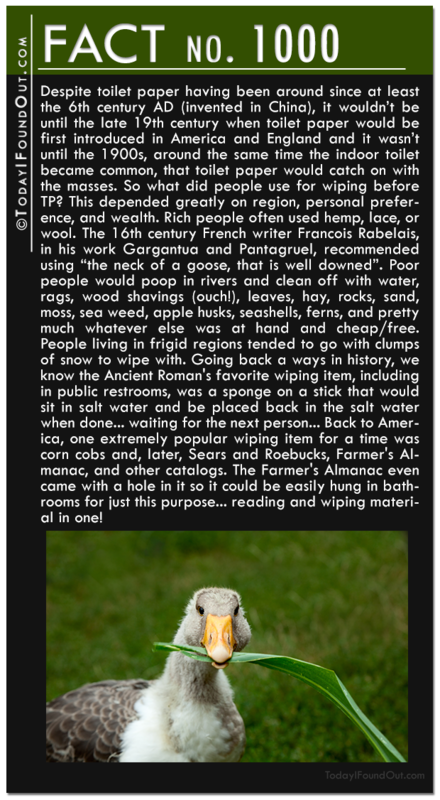 The Farmer’s Almanac even came with a hole in it so it could be easily hung in bathrooms for just this purpose… reading and wiping material in one! 1001) Ever wonder why we call junk messages “spam”? Well, wonder no more. While some have suggested that this was because SPAM (as in the Hormel meat product) is sometimes satirized as “fake meat”, thus spam messages are “fake messages”, this potential origin, while plausible enough on the surface, is not correct based on surviving documented evidence of when the term started being used to mean junk or unsolicited messages. The real origin of the phrase comes from a 1970 Monty Python’s Flying Circus skit. In this skit, all the restaurant’s menu items devolve into SPAM. When the waitress repeats the word SPAM, a group of Vikings in the corner sing “SPAM, SPAM, SPAM, SPAM, SPAM, SPAM, SPAM, SPAM, lovely SPAM! Wonderful SPAM!”, drowning out other conversation, until they are finally told to shut it. 1003) Notable moments in toilet paper history include in the 1850s when Joseph Gayetty came up with the first commercially available toilet paper in the United States. 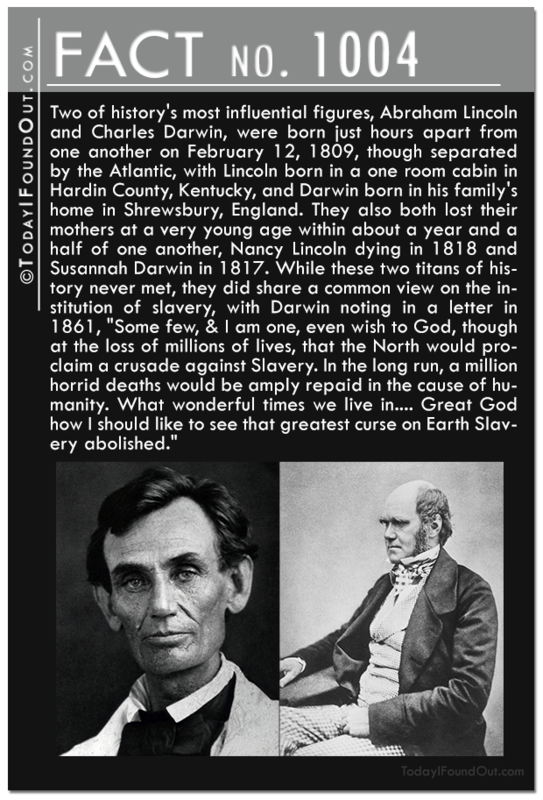 His paper “The greatest necessity of the age! Gayetty’s medicated paper for the water-closet” was sold in packages of flat sheets that were moistened and soaked with aloe. Gayetty’s toilet paper sold for about 50 cents a pack ($12 today), with 500 sheets in that package. This wasn’t terribly popular, presumably because up to this point most people got their wiping materials for free from whatever was at hand. Around 1867, brothers Edward, Clarence, and Thomas Scott, who sold products from a push cart, started making and selling toilet paper as well. 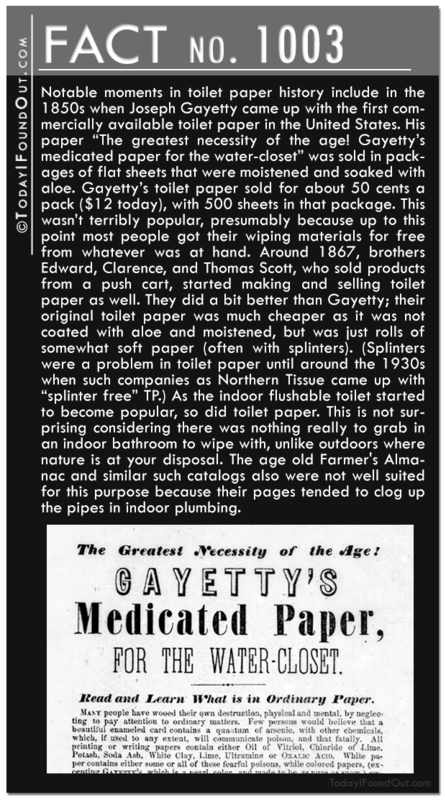 They did a bit better than Gayetty; their original toilet paper was much cheaper as it was not coated with aloe and moistened, but was just rolls of somewhat soft paper (often with splinters). (Splinters were a problem in toilet paper until around the 1930s when such companies as Northern Tissue came up with “splinter free” TP.) As the indoor flushable toilet started to become popular, so did toilet paper. This is not surprising considering there was nothing really to grab in an indoor bathroom to wipe with, unlike outdoors where nature is at your disposal. The age old Farmer’s Almanac and similar such catalogs also were not well suited for this purpose because their pages tended to clog up the pipes in indoor plumbing. 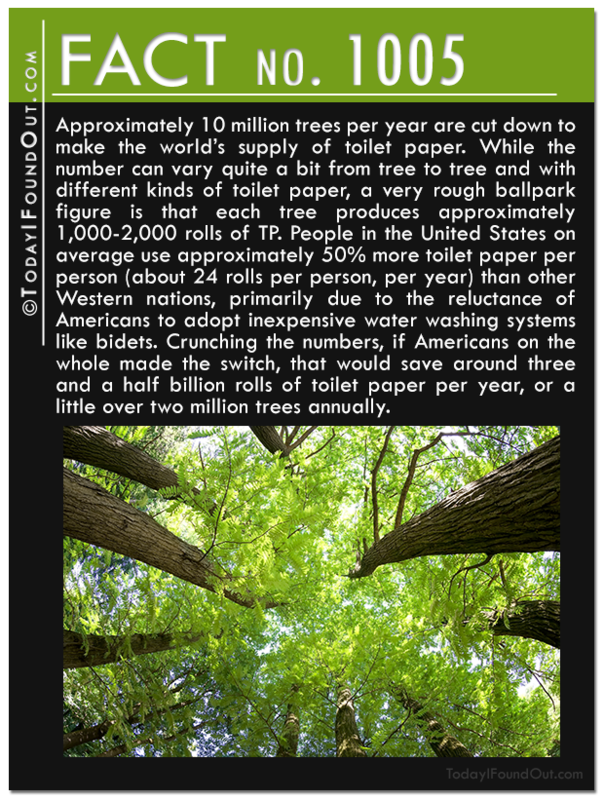 1005) Approximately 10 million trees per year are cut down to make the world’s supply of toilet paper. While the number can vary quite a bit from tree to tree and with different kinds of toilet paper, a very rough ballpark figure is that each tree produces approximately 1,000-2,000 rolls of TP. People in the United States on average use approximately 50% more toilet paper per person (about 24 rolls per person, per year) than other Western nations, primarily due to the reluctance of Americans to adopt inexpensive water washing systems like bidets. Crunching the numbers, if Americans on the whole made the switch, that would save around three and a half billion rolls of toilet paper per year, or a little over two million trees annually. How Do Blind People Know When They’re Finished Wiping? Every time I think that “Today I Found Out” cannot possibly come up with something more disgusting than the many trashy articles of the past — BOOM — there is a new and still more disgusting piece of garbage being published. You should be ashamed of yourself, sir, for lowering yourself to write about blind people’s bathroom hygiene. I will continue to pray for your conversion to the leading of a virtuous life — in place of a life that is filled with sexual and scatological obsessions. And yet you continue to come to the site and read it. That says a lot more about you than you think. 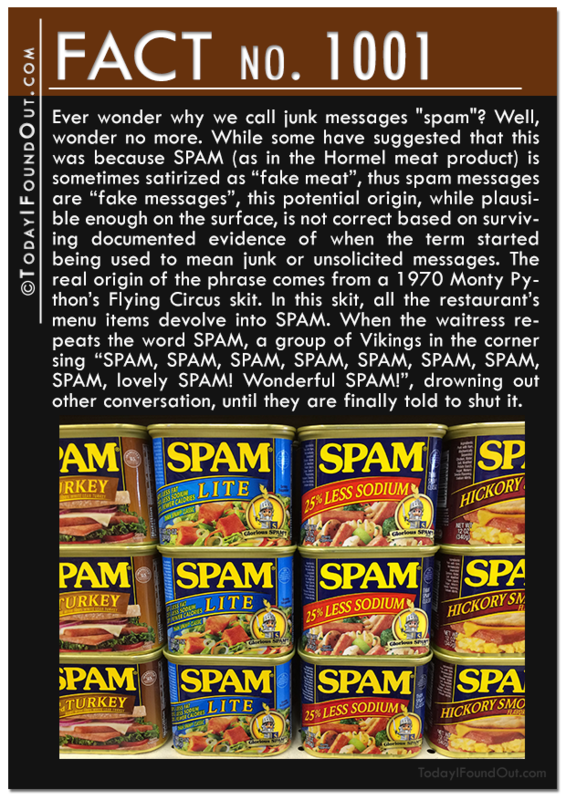 Monty Python’s SPAM was the exact same thing as the Hormel SPAM product, which was part of the point, I think. Wikipedia too fails to acknowledge the connection between mass comms and canned meat… Worth further iteration, if you are better than Wikipedia.